April 2017 Stocks & Screens Now Available! Thank you to all members for helping to support my continued efforts on this site by being premium members. This month’s premium content is now available. Get it here if you’re currently a premium member! If you’re not a premium member and like my site, please consider joining. Memberships start as low as $6.25/month! Now, a little bit about how a ModernGraham premium membership can help you in your investing efforts. Stocks and Screens is intended to be a tool for hobby investors who are interested in picking out their own stocks but want a little bit of help along the research path. This is available at both the basic level and the advanced level of premium membership. 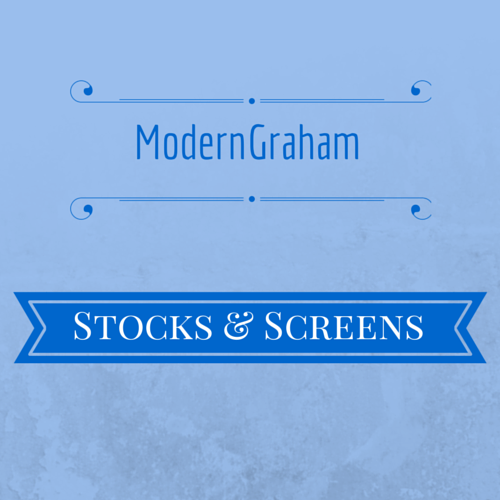 Inside this monthly PDF report and spreadsheet is a listing of all the companies reviewed by ModernGraham in a handy table with some key figures, including dividend yield information. It then proceeds to screen the companies regarding different topics. This is a great tool for your research into value investing opportunities. There are two tiers of premium membership, each with different billing options. In addition, the A-List Report and the Industry Review Report can be purchased individually here. Yes! I want to be a Premium Member! Register using the button above, following the directions to pay. Acceptable payment options are Visa, Mastercard, American Express, Discover, Paypal, and more. Please email me at ben@moderngraham.com to request an upgrade. Beautiful clean posts, great format, well written commentary and straighttorward graphics. Ben, you really have built a great site and resource for value investing.